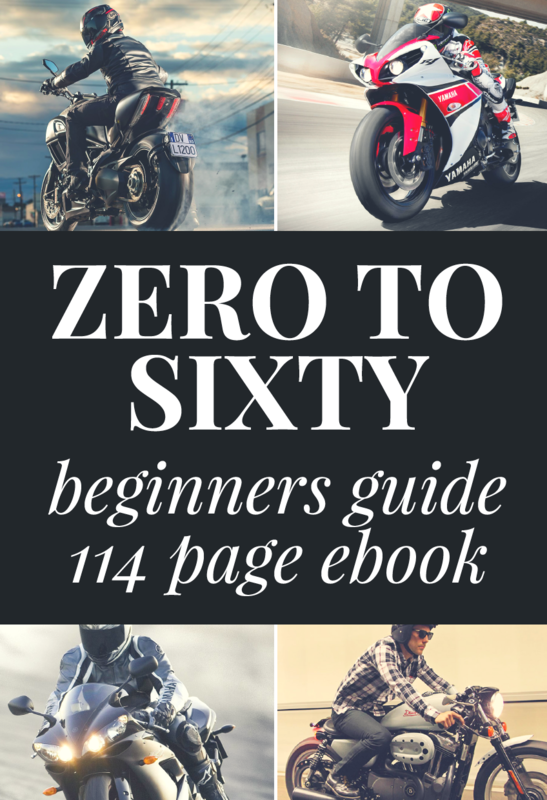 Today there are literally hundreds of men’s motorcycle boots available online and at specialty motorcycle retailers. Sorting the good from the bad is real work and you can only read so many reviews online. We decided to take the easy route and asked a bunch of our readers to give us their recommendations. Here’s the list they came up with, the four best motorcycle boots for the beginner motorcycle rider. The great bike riding experience requires standard safety and comfort and to make it happen one has to have the right gear. The Tyson Boots offer maximum protection for the motorcycle rider and our readers love them. Given its full grain leather upper, the boot makes it real for the much required comfort. It’s outsole gives optimum performance and traction in all conditions. The Goodyear has welt construction which is the best method for bonding the sole with the upper and gives this motorcycle boot great durability. Its shaft height of 7.5 inches give the comfort that the biker requires and also the durability given its 2” heel. The reflective material on it increases visibility on the road, important if you ride at night or in low-light conditions. It’s worth speaks for itself as it standardly is classic to the lovers of speed. FRYE Men’s Harness 12R Boot is designed to withstand harsh weather conditions and is a strong all-weather boot. 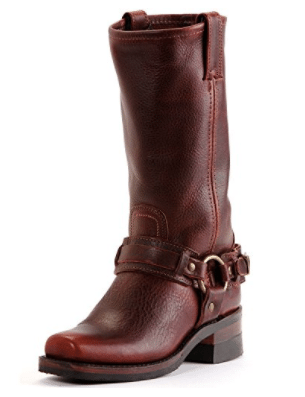 With classic looks combined with the added appeal of belt buckle makes this a stylish boot that works for all outfits. The boot has a cushioned shock absorbing memory insole which is why we found this boot to be very comfortable. This great-looking boot features cushioned shock-absorbing memory insoles, stacked leather heel with rubber heel lift and durable. The tough leather and the leather strap makes the boot strong and helps protect the ankle from getting injured when you crash. This boots can be multifunctional that is you could use the boot to get to the office as well as ride your motorcycle. 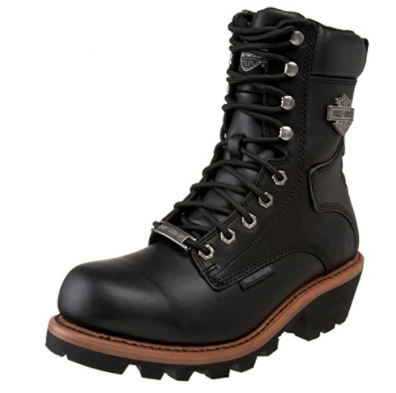 This is a relatively durable motorcycle boot with tough leather that will stand the test of time. This motorcycle boot is designed and handcrafted in the USA is reinforced with kick pad and velcro side closure, making it one of the most comfortable men’s motorcycle boots. 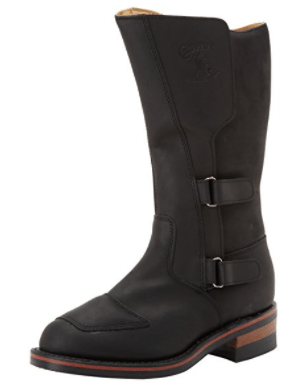 The boot is designed mostly for fashion lovers who are motorcycle enthusiasts. 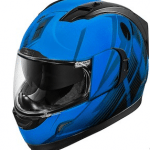 There are several color options that should suit most fashion forward riders. The ankle protection pad serves as a nice protective touch. This is a high quality motorcycle boot that many sport motorcycle riders love. This is a boot that offers you versatility anywhere you go with your motorcycle. The sole of this boot is tough and the boot is made of heavy duty leather. 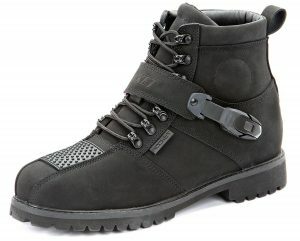 This is a tough and durable motorcycle boot. The strap makes sure the boot is tightly closed and the ankle feels comfortable. Men’s motorcycle boots are important for protecting your feet in case of an accident. At the same time they need to look good, be comfortable and be practical. 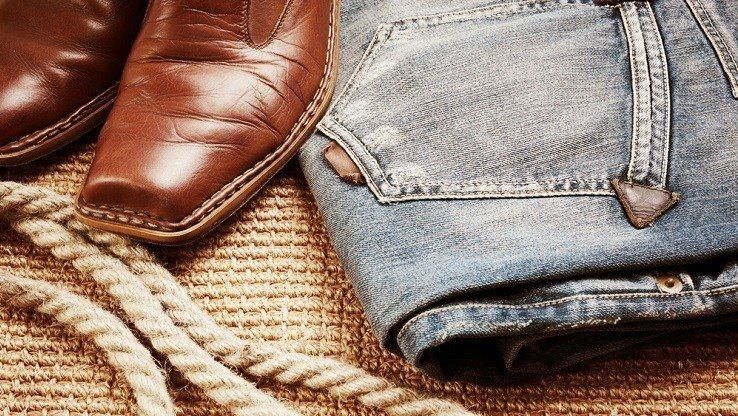 Boots comes in different shapes, fits and colors and the choices are endless. Hopefully our list of top motorcycle boots was helpful in narrowing down the choices.